I am not a religious person and never have been. I did, however, go to a religious school where daily prayers and Sunday services were part of the schedule so I did absorb plenty of the central tenets of Christianity and they, of course, had a significant impact on the values that I hold today. Most of us can tell the difference between good and bad. But why do we choose to be good? Fear of being found out? Guilt? Just because it feels right? Because that is the way I was brought up? Because it is the law of the land? And, in some cases, because that is what it says in the Bible or Koran? I remember once playing golf with the late Bishop Noel Willoughby, who was a family friend and I tortured the poor man who thought he was on a day off as to what it was essential to believe to be a Christian. I mentioned the virgin birth and he did not think it very important. You could believe it or not. Take your pick. We discussed miracles and again, he was not too concerned about whether Lazarus was raised from the dead or the 5,000 were fed with a few loaves and fishes or not. They were nice stories that made people think. We were getting on fine until we came to the crunch. There was one thing that there were no two ways about. He told me that the fundamental thing about being a Christian was to believe that Christ was crucified, died, and then rose from the dead. So the laws of God parted from the laws of nature and we parted intellectual company at the last fence. That, to me, then and now, is simply unbelievable. With the massive decline in religious observance in Ireland, a major source of values, mostly good ones, is not available to people, particularly young people. While I am happy that behaviour is less controlled by fear of both clerics and the afterlife, I bemoan the huge increase in amoral, selfish, anti-social, and often out-of-control behaviour which displays a total lack of moral compass in many people. I asked a diverse group of people what were their important values and where did they get those values from. Family was mentioned a lot. Guilt was mentioned. If you side-swiped a car, one said he would leave a note even if no one had seen it because of the guilt that would follow. Pretty soon all came to the same phrase which forms the centre of my approach to life... "Do unto others as you would have them do to you," Luke 6:31 or as sometimes put in a more secular world "Treat people the way you would like to be treated." I had not realised that this is known as the Golden Rule and is present in similar forms in all of the world's great religions. It is sometimes stated in a negative version but that doesn't make a whole heap of difference to the meaning. Love your neighbour as yourself isn't a million miles away. The man whose name we will never speak had clearly never heard of this maxim when he opened fire on people attending Friday prayers in Christchurch, New Zealand. We are not without our own shame. 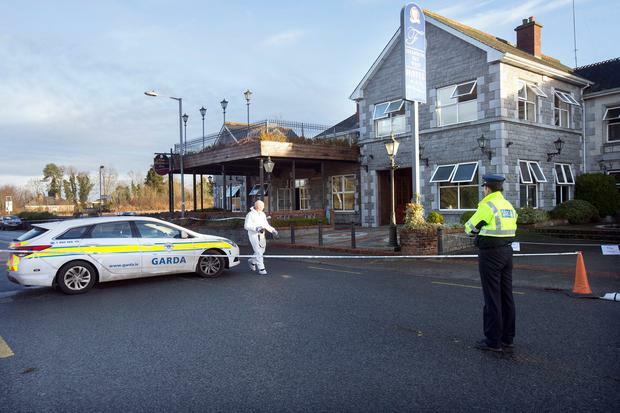 We are told that the Rooskey hotel that was to be open for people seeking refuge and safety in Ireland will not now be available because of "lease issues". The cynic in me assumes it is because of the two premeditated and planned arson attacks on the building by Irish racists who seem to be devoid of any moral code. Whether religious or not, the simple standard of treating others as you wish to be treated will give very useful guidance as to how to behave in situations big and small. Increasingly, we are being expected to think as individuals. We are a social animal who live in communities. Good communities are made up of good neighbours.